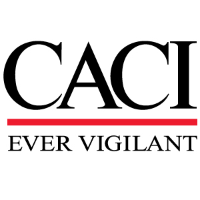 CACI is seeking program management candidates to pursue a career supporting CACI’s growing Intelligence Services market. Support by our newly developed job framework, CACI provides clearly defined career paths for employees to grow and progress within our company. In this position, candidates will manage and own the execution strategy and operational direction of a complex project focused on digital forensics of media (hardware and software) for an intelligence customer. Responsible for ongoing performance of the program and contract execution. Work with senior program leadership to establish and implement program goals and provide key performance metrics to establish a strategic baseline. Responsible for coordinating activity including business plans, work specifications, and budgets for scope expansion and new business. Update the work plan as necessary during the period of performance and track and report current status, issues. and risks. Work directly with the CACI Team and customers to modify and improve processes or systems. Responsible for career growth/development of staff employees including coordinating training and professional development, as required. Act as a bridge for the complex gap between the non-technical functions of management and the technical requirements of a Computer Forensics mission and its personnel. Bachelor of Science degree in Computer Science or STEM discipline is required. Master’s degree preferred. At least ten (10) years of related technical and project experience in computer forensics areas. Experience in planning and forecasting resource needs. Experience requiring strong interpersonal and organizational skills. Experience requiring strong instructional and communication skills. An active TS/SCI clearance with CI polygraph.